NEW YORK, June 27, 2017 /PRNewswire/ -- Voya Financial, Inc. (NYSE: VOYA), announced today that Executive Vice President and Chief Legal Officer Trish Walsh has been appointed to the board of directors of the Partnership for After School Education (PASE). PASE is a child-focused organization that promotes and supports quality afterschool programs, particularly those serving young people from underserved communities. "I am honored to partner with an organization like PASE that is working to provide New York City children with access to the resources and opportunities they need to meet their potential," said Walsh. "Supporting programs that integrate STEM, including math and financial literacy skills, into students' everyday activities is a focus of our philanthropic efforts at Voya, and it is a privilege to play a role in such a meaningful effort." Census data shows that nearly one-third of all New York City children live in poverty, and that quality afterschool programs can increase a young person's academic performance, support their social and emotional development, and promote health and wellness. Through PASE, more than 500,000 local children and young adults in low-income communities are provided a safe and enriching environment via afterschool programming. "PASE champions afterschool programs that play a critical role in helping kids thrive in school, and later in life," said PASE Executive Director Alison Overseth. "A key component of our organization's success is engaging corporate leaders like Trish, who support our mission and work with us to help every child receive the opportunities they deserve." 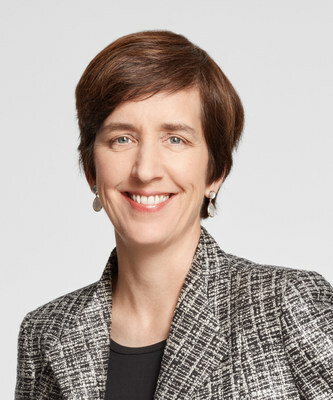 In her role as chief legal officer, Walsh oversees all aspects of Voya's Law, Compliance and External Affairs department, serving as an advisor to senior management and the board of directors on legal, compliance, securities and corporate governance matters. Walsh also serves on Voya's Executive Committee. She began her career with clerkships at the U.S. District Court for the District of Connecticut and the U.S. Court of Appeals for the Eleventh Circuit. She received her bachelor's degree from Mount Holyoke College, a master's degree in public affairs from Princeton University, and a J.D. from Yale Law School. As an industry leader and advocate for greater retirement readiness, Voya Financial is committed to delivering on its vision to be America's Retirement Company® and its mission to make a secure financial future possible — one person, one family, one institution at a time.